Demodectic mange is actually a skin disease, which is also sometimes referred as Red Mange along with some other names, i-e,(follicular mange or puppy mange) affecting to dogs in their young age and it is generated by a mite-bite namely, Demodexcanis. These mites are normally living on the skin surfaces of the dogs inside the hair follicles and are normally visible with a keen observation of a dog’s skin. This is the reason; this mite is also named as follicular mange. Demodexcanisalso sometimes exist on human bodies, especially near eyelids and nostril hair. 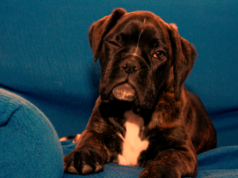 Demodectic mange is a typical skin disease, the boxer dog breed is prone to which. It is also called as Generalized Demodex, Demodicosis or Demodectic Mange. As we have mentioned in the earlier paragraph, Demodectic mange is caused mainly by the Demodex mite, which develops its population over the coat of boxer, is normally invisible from the naked human eye. In the normal circumstances, these tiny creatures are not the responsible for the development of Demodectic mange in a boxer dog, but if a boxer dog possesses a feeble and unstable immunity system, then these bloodsuckers can harvest the crop of Red Mange in s boxer dog. 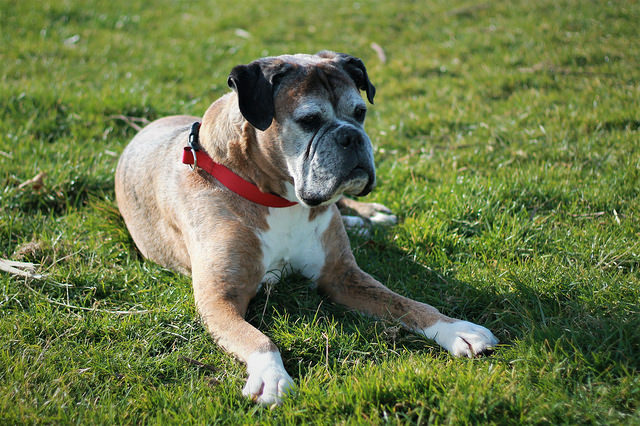 If your boxer dog is suffering from a long term ailment and is not recovering, then it could have a deteriorated immune system. But still, the system will retain the capacity to defend the incursion by the mites. Demodectic mange starts affecting the body of a boxer dog in some of its areas which cannot be itchy all times. Sometimes these can appear looking like blistered skin over head, around its neck and near the legs and limb parts. Sometimes, the fur also starts to be vanished around the affected areas of body of such boxer dog. When a boxer dog is suffering from highly poor condition due to Demodectic mange, the skin of such boxer dog becomes really pathetic and cracked. This situation is known as Generalized Demodex, Demodicosis ,Demodectic Mange or Red Mange and it demands abrupt action. In this stage, there can be severe hair loss, facial burning and tarnished skin around the eyelids and other mouth organs. This body rash can significantly increase and cover most of the areas of body, if not cured in time. 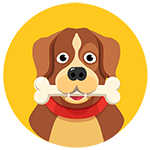 An affected boxer dog will be regularly shaking and itching the affected areas and it will feel entire discomfort and frustration. In some cases, such boxer dogs are also observed with having high body temperatures and resultantly they’ll start neglecting food in-take. By continuous itching, the infected areas can also become inflamed and from the bruises, fluids emission can also start happening. . It is observed that the boxer dogs affecting from Demodectic Mange or Red Mange, if they are young and healthy and if this disease or infection is at its early stage, with little care, cleaning and diligence by the owner can recover within two months even if they are not treated. There are some anti allergy soaps and shampoos available in the market which helps preventing such bacterial skin infections that are caused by scratching. Another factor also plays a vital role in the recovery of such young boxer from Demodectic Mange or Red Mange dog and i-e their strong immunity system. However, if the problem is not solved and the issue of Demodectic Mange or Red Mange is continued then obviously a vet must be consulted. For the treatment of Diagnosis of Demodectic Mange or Red Mange in a boxer dog, obviously the first step to be taken by a vet will be the keen observation of the infected area and the allergic reaction on such boxer dog’s skin. Some testing can be done and vet will ensure firstly to rule out the menace of Diagnosis of Demodectic Mange or Red Mange. 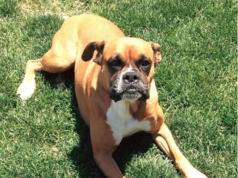 The skin scraping is a viable option for a vet who’ll inspect the boxer dog’s body deeply. If Diagnosis of Demodectic Mange or Red Mange is diagnosed then the vet will suggest the medication and its quantum may vary upon the age of boxer dog. Sulfurated lime which is the mixture of sulfur and lime is a commonly used method to eliminate such infections and killing the bacteria, parasites including demodex mites. Weekly dipping or rinsing with the sulfurated limes can be recommended by a vet to get rid of demodex infections. Sometimes, the treatment might continue for many weeks until the full clearance of body from these nasty mites. This must be kept in mind that these sulfur solutions create an offensive odor and the dip should be applied an open area or airy place. Another treatment method might include amitraz which can also be applied and it is basically used to kill mites and lice. This is usually suggested by a vet, if the Sulfurated lime option has not worked and unfortunately the infection is on a continuing trend. The veterinarians may ask the owner of the infected boxer dog to make sure for more frequent dipping and more absorption than the normal. Additionally, some oral dosages can also be given to the infected boxer dog and the duration of such medication can be up till 4 months. Along with these oral dosages, some anti biotic medicines can also be continued for 1-3 months. There can also be certain side effects because this method is used in extreme condition of Demodectic Mange or Red Mange in a boxer dog. Sadly, even with these treatments, some aged boxer dogs are not able to recover from these infections. 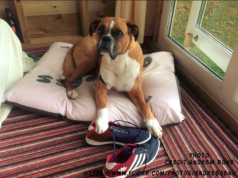 The treatment of Demodectic Mange or Red Mange in a boxer dog also requires cool temperament of the boxer dog owner as this disease can disturb physically to the affected boxer dog and mentally to its owner.